​Play to Your Health provides all-encompassing Physical Education Classes for Home-School Students. We combine practices from popular sports, track and field, gymnastics, and other exercise outlets into one Comprehensive Physical Education Program. Our curriculum Exceeds National Standards and emphasizes the value of FUN! We appreciate the time & investment you put into your Child's Education. Your High Standards inspires us to continue improving the Play to Your Health Program. Our commitment to providing the best Physical Education Experience for our students, starts with respecting those who know them best. It is our privilege to partner with you in educating your child. We are happy to answer any questions you may have, and are grateful for any feedback/suggestions you wish to share! Play to Your Health offers existing classes in the greater Los Angeles and Orange County area! Please contact us for current availability! 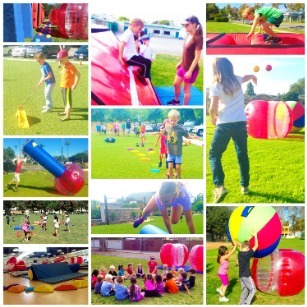 We will help you start the perfect PE class for your private group, charter, or school! Our qualified coaches bring more quality equipment to class than any other program. Contact us to learn more about the Play to Your Health Program and how we can fit your needs!